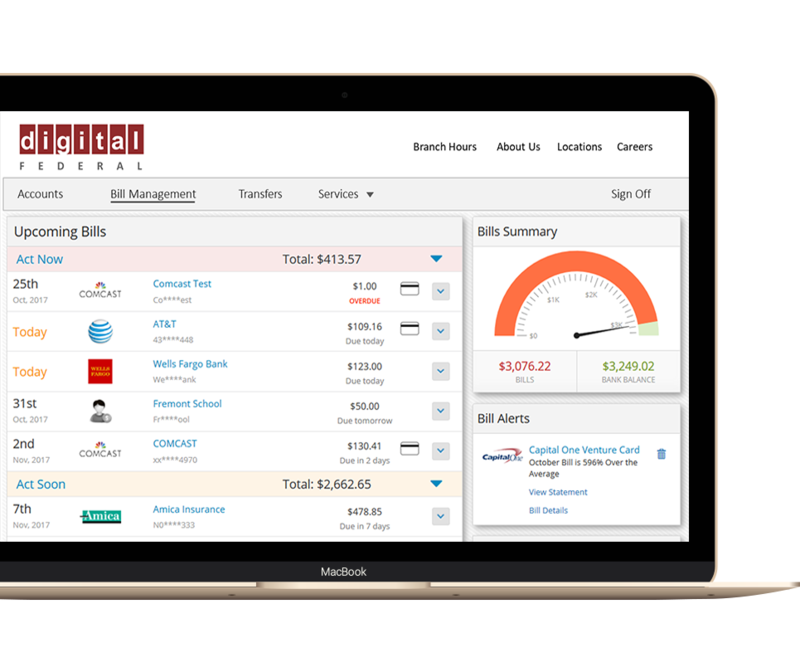 Finovera Bill Management Changes How People Engage With Their Banks. We’ll do the hard work of keeping everything organized, and simply let you know when something needs your attention. Finovera automatically brings all your bills, statements and important documents into one secure digital file cabinet. You’ll reduce clutter and stress, and have more time for just about everything you’d rather be doing than managing bills. 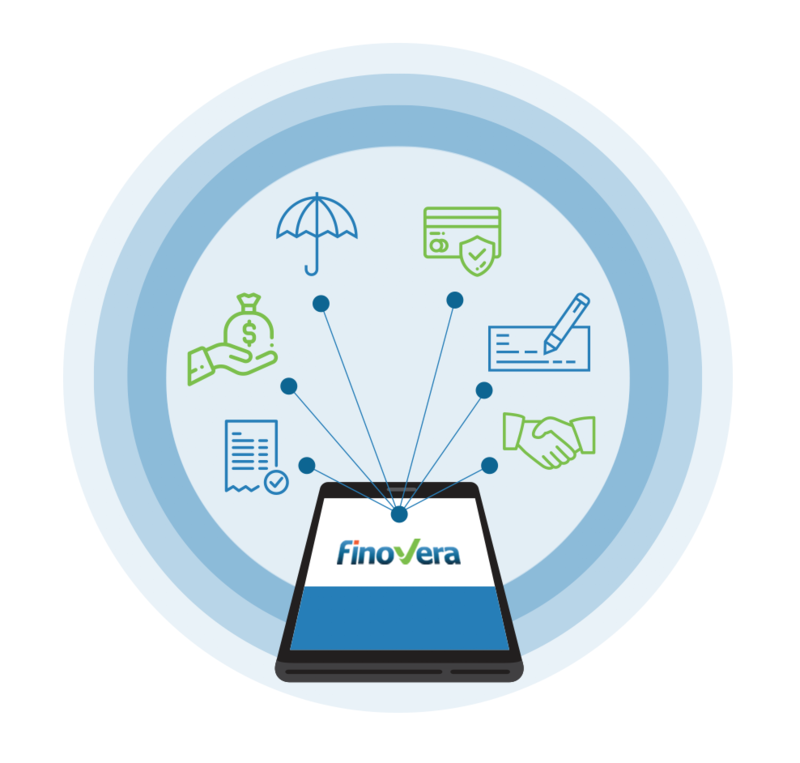 Link your accounts to Finovera once, and we’ll take care of the rest. Finovera collects a 12-month history of bills and statements, and automatically downloads new ones as they post. We’ll let you know when a payment is due, and when you’re ready to pay, don’t worry about trying to remember dozens of logins and passwords. Finovera will log you in to the right account automatically, taking the hassle out of paying your bills online. You’ve got enough on your mind. Why bother struggling to stay on top of your financial life across multiple accounts and websites when you don’t have to? Finovera puts everything into one convenient, secure place, so whenever you need something, it’s right there. One inbox for all of your new bills and statements. One digital file cabinet for all of your important documents. One protected vault for all of your online passwords. Only one password to remember, and a whole lot less to think about. You’ll never pay a late fee again, but Finovera does a lot more than just remind you to pay your bills. We’ll alert you when a bill looks unusually high based on historical data, and when your bank account balances are lower than the sum of your outstanding bills. It’s a layer of protection that helps keep your money safe from late fees, fraud and overdrafts. Take a quick photo of receipts, bills or a document and instantly upload to your File Cabinet. The Finovera mobile app makes it easy and convenient to view your account balances, bills and documents – no matter where you are. No worries if your phone is lost. Your password protected app allows you to remotely delete or disable access to your sensitive information. The last bill and document management tool you’ll ever need, your Digital File Cabinet is the smart and secure way to get out from under your paper clutter, forever. 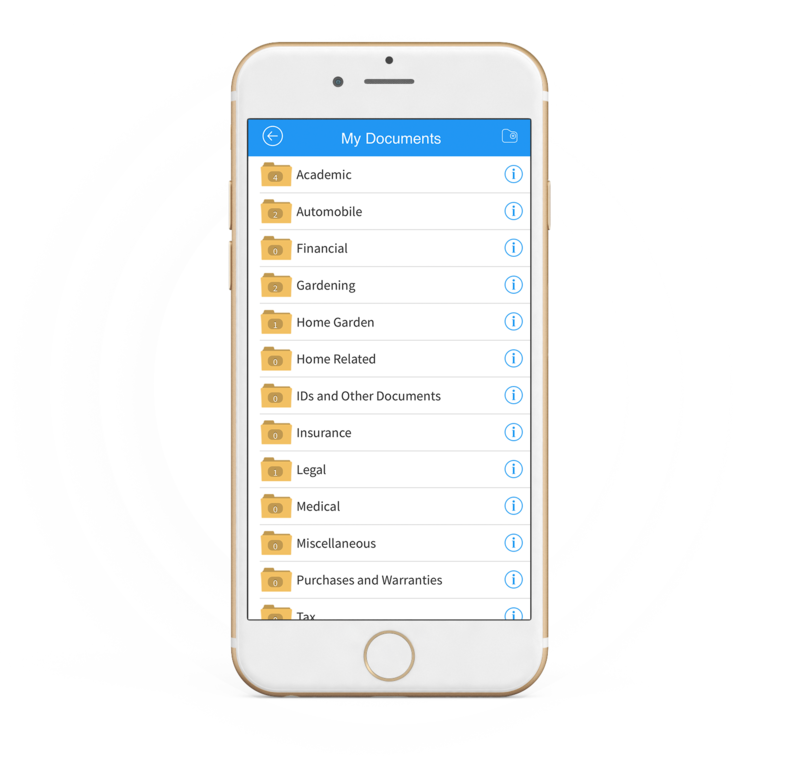 Upload any important documents you’d like to save, and we’ll help you organize them in your Digital File Cabinet. Never go hunting for that old warranty or insurance policy again; with the Digital File Cabinet, your documents are at your fingertips, anytime, anywhere. It’s hard to get a handle on your spending when it’s a hassle just to get your bills organized. 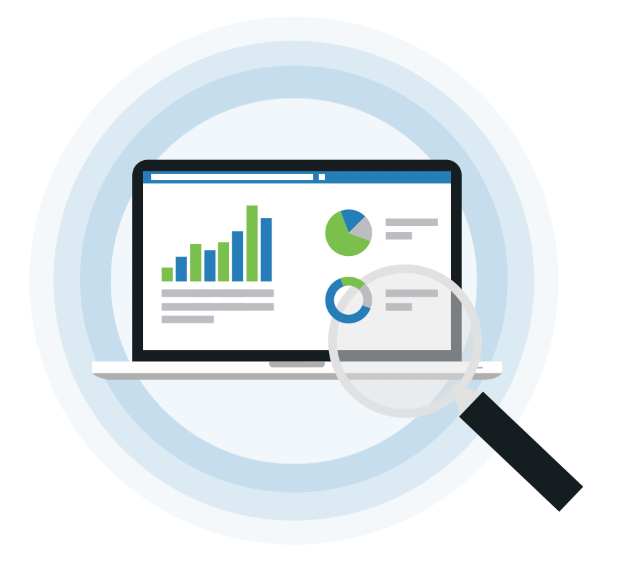 Because Finovera brings everything together in one place, we can provide valuable trends and analysis on your spending and saving habits, whether you want to track spending for the current month or any time in the past, arming you with the information you need to make real changes and save more money. Adding an account takes seconds; just enter your login credentials once, and Finovera does the rest. 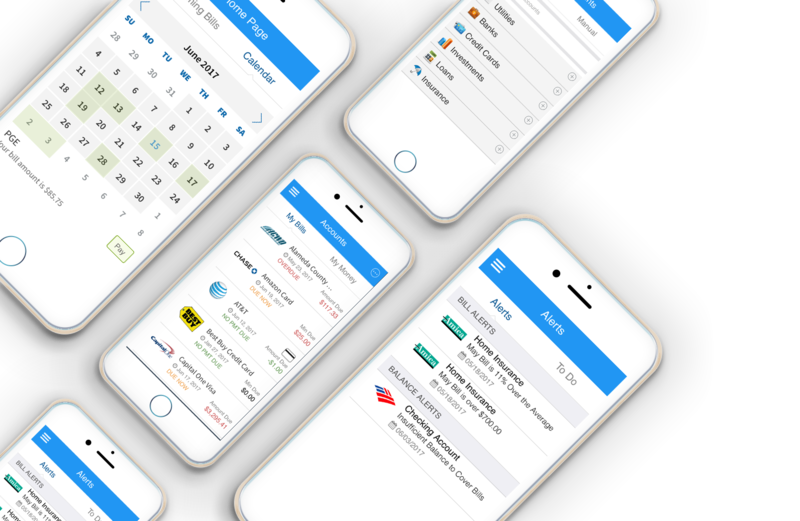 With Finovera, you won’t have to create reminders for your banking chores. Easily add notes and to-do’s for future references. With Finovera, it’s easy to organize your offline accounts, too. Stay on top of your bills, no matter how you pay them! Going paperless with Finovera makes your life a whole lot easier; it also helps you do your part for the environment. 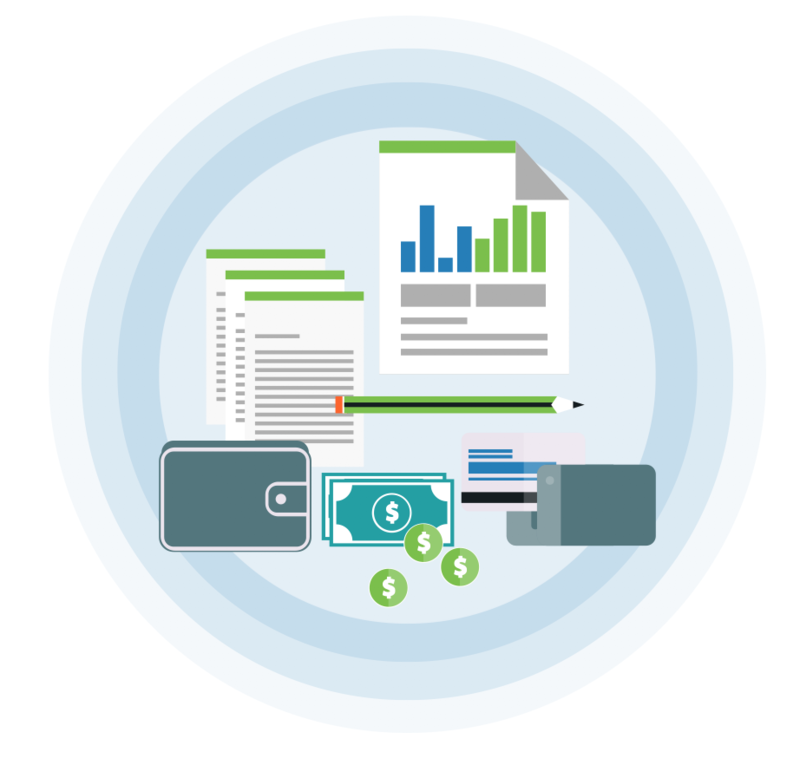 Finovera securely stores login credentials for accounts of any kind, whether you pay bills on them or not. 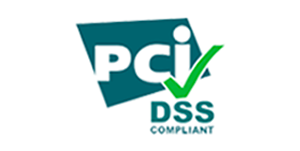 Same level of security as leading online financial institutions, including 256-bit encryption, PCI compliance, and more.